Conveniently located off of E Main St., A to Z Self Storage is easily accessible and offers you a convenient and secure way to store your belongings. We know how important it is to be able to access your items whenever you need them and that is why we offer 24-hour access to all units. We welcome you to give us a call today to take a tour of our facility. Conveniently Located Off of E Main St.
A to Z Self Storage is conveniently located right off of E Main St. and is easily accessible for residents in Trinidad, Walsenburg, and Raton, New Mexico. Our facility is located in front of TOPAR Welding. Just a short drive up the road, is home to a variety of different dining and shopping experiences including Burger King, Family Dollar, AutoZone, and more. If you are in need of a place to park your vehicle, you can count on A to Z Self Storage to meet your needs. We offer uncovered parking on our property that is ideal for your RV, car, truck, or boat. Plus, our friendly team of staff members will ensure that your vehicle is always protected while you are away. If you are interested in parking your vehicle on our property, give us a call today for a free quote! 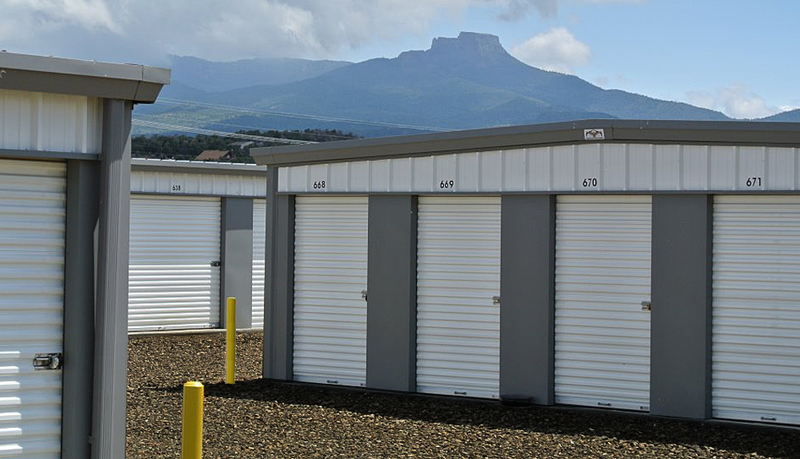 When you store your items at a storage facility, one of the things you worry about is the safety of your items. We protect both you and your items in a safe and secure facility. Our property has lights throughout the property to ensure the area is always well lit, no matter the time of day or night. We have video surveillance cameras in place that monitor all activity that occurs on our property. We want you to feel safe while you are here and we want you to have the peace of mind that your items are protected when you are away.